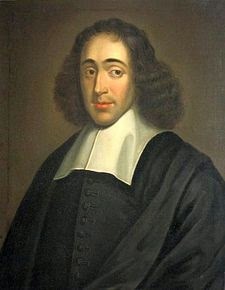 Moreover, if we were to ask Spinoza, “Would you like the ban lifted?” I am certain that his answer would be, “I could not care less.” It is clear that he did not have any interest in being reintegrated into Judaism, much less into the particular Portuguese community that banned him. You might even say that to want to reintegrate Spinoza into Jewish life by lifting the ban would be to misunderstand what Spinoza stood for, given his strongly negative views on organized religion, and on Judaism in particular. Here the analogy with the case of Galileo is misleading. Galileo was promoting a set of purely scientific doctrines, albeit doctrines that the Catholic Church had deemed inconsistent with biblical texts and religious dogma. Spinoza, on the other hand, was defending views that were direct and blatant denials of some core elements of the Jewish faith. It is one thing to insist that the Earth goes around the sun, and even to insist (as Galileo did) that the Bible should not be regarded as a source of scientific knowledge; it is quite another to claim that the observance of Jewish law is no longer valid or necessary, or that the biblical prophets were uneducated individuals who spoke not from understanding but only from imagination. I think a larger, and more pressing, question concerns the wisdom and efficacy of enforcing orthodoxy, or conformity in the matter of ideas (as opposed to conformity in the matter of behavior), in religious communities. Presumably, religion, in addition to being for many people a source of identity, community, comfort and moral guidance, is also a quest for understanding and truth: truth about ourselves and about the world. As John Stuart Mill and many other thinkers have argued, exercising any kind of censorship over ideas and restricting freedom of thought and speech only make it less likely that, in the end, the truth will be discovered. Why should this be any less a matter of importance in the domain of religious belief than in philosophy, science and other areas of human intellectual endeavor? Spinoza believed that he had, through metaphysical inquiry, discovered important truths about God, nature and human beings, truths that led to principles of great consequence for our happiness and our emotional and physical flourishing. This, in fact, is what he called “true religion.” There is a lesson here: By enforcing conformity of belief and punishing deviations from dogma, religious authorities may end up depriving the devoted of the possibility of achieving in religion that which they most urgently seek. 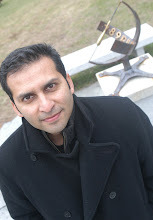 Steve Nadler was also our Science & Religion speaker last year, and gave an excellent talk on Spinoza. Here is the abstract followed by the video of the talk, and the Q/A session underneath. Enjoy!